Cross Zone – Crossfit Studio WordPress Theme is a outstanding theme suiting your CrossFit studio, gym, sport club, etc. It will greatly represent your services, personnel, pricing and much more! Your visitors will receive all necessary information regarding workouts and will be able to leave their feedback. Cross Zone theme was crafted to symbolize strength and willpower, thus, attract more people to start training and join your studio. Journez – Travel WordPress Theme contains a brand-new JetThemeCore plugin, which allows to create custom-made headers and footers, as well as use pre-designed ones and customize them according to your needs and vision. Except these plugins, you will get powerful Jet Family plugins – JetBlocks and JetTabs. JetBlock plugin makes it extra easy to add authorization links, hamburger panels, login forms and customize other elements. PATHFINDER – Journeys & Travelling Theme is a customizable website template that can be used by any travel agency, trips & travel blogs, agencies, tour operators. The Pathfinder is part of The Core, a multi purpose WP theme for creative ones, that is highly customizable & comes with multiple unique demos. It’s a good template to present different packages, transport ways, accommodation systems, special offers. It is also suitable if you own a little travel company or a cute traveling blog, because of its elegant design. GAMES ZONE – Gaming WordPress Theme is for anyone that wants a fresh new looks for their game magazine and blogging website. It comes with built-in no less than 2 different sliders for you to choose from: the first one has great animations for the text accompanying the images, while the 2nd slider is a bit more static but can incorporate videos. 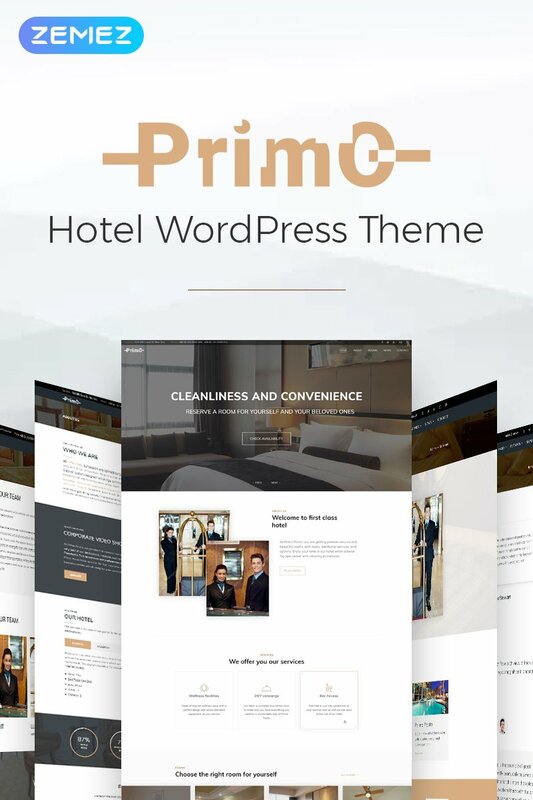 VOYAGE – Travel WordPress Theme is the only choice if you need a gorgeous, feature packed WordPress theme for your online travel agency website. It comes with included in our Voyage theme a lot of travel specific features, like Calendar for reservations, a tabbed system for detailing useful information like Attractions, Maps, Area and more. Searching for a holiday travel offer has never been easier with our extensive search filters. They let users query the offers database for lots of parameters, in case your visitors have very specific needs. Parallax WordPress Theme is a combination of two cool trends – parallax scrolling and single page design. It is designed to help you to build a stunning parallax scrolling site with ease. Showcase your work and services responsively on a single page. Viewers can enjoy your beautiful content in parallax scrolling sections. Impress your visitors with fly-in elements! The theme can be used as a single page or regular site with page URLs. Parallax scrolling with fly-in animation single-page theme for business and portfolio. Jump in the parallax scrolling trend now with Parallax theme!